Boeing can be excused for breaking out the Champagne after beating Airbus to supply 47 new 787 Dreamliner aircraft to American Airlines, following a tight contest with European rival Airbus, which had been pushing its latest models. The decision comes as a double-blow to Airbus, as Hawaiian Airlines recently dropped an order for six A330neos in favour of the B787 Dreamliner. 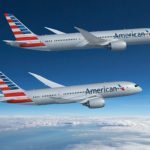 American Airlines’ decision will more than double its B787 Dreamliner fleet. The new order for 47 B787s includes 28 options. 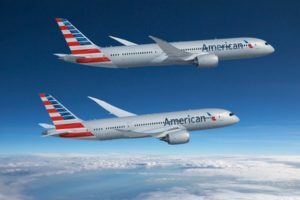 The 47 Dreamliners are valued at more than USD 12 billion at list prices, making American Airlines the largest B787 customer. American Airlines is already the largest airline in the world. The world’s biggest B787 Dreamliner customer currently is Japan’s All Nippon Airways (ANA). American earlier ordered 42 B787 Dreamliners and has been using them to open new routes around the world, including Asia Pacific and Europe. “We are extremely honoured that American Airlines, is deepening its commitment to the 787 Dreamliner. This new order is a powerful endorsement of the 787 family’s unique passenger appeal and unmatched ability to help airlines open new routes and grow profitably,” said Boeing Commercial Airplanes president and chief executive Kevin McAllister. Built with lightweight composite materials and powered by advanced engines, the B787-8 Dreamliner can fly 242 passengers up to 7355 nautical miles (13,620 km) in a typical two-class configuration. The B787-9, a stretch of the 787-8, can fly 290 passengers up to 7635 nautical miles (14,140 km). These days 47 aircraft is not a huge order. Consider Lion Air of Indonesia, hardly an airline of AA’s stature, but they have an order for 160 B737MAX with Boeing.